We are all familiar with the natural, rational, real, and complex number systems and their arithmetic, but other mathematical systems exhibit similar arithmetic properties. The previous chapter, for instance, introduced the set of integers modulo n, and its addition, subtraction, and multiplication. In high school algebra you worked with polynomials, and saw how to add, subtract, and multiply them. 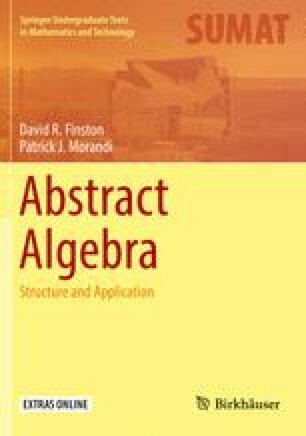 In linear algebra you saw how arithmetic operations are performed on matrices, and might have seen vector spaces, with their addition, subtraction, and scalar multiplication. Many of the functions you studied in precalculus and calculus can be combined by addition, subtraction, multiplication, division, and also composition.